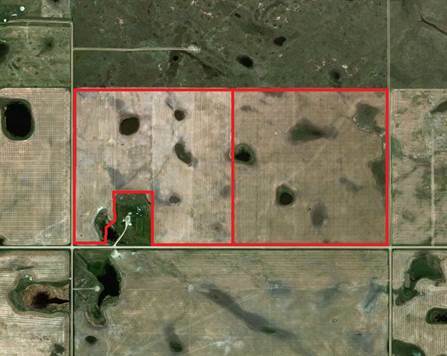 2 quarters of farmland in the heart of the oilfield in West Central Saskatchewan. Located approx 20 miles northeast of Kindersley, this presents an excellent expansion or investment opportunity. The land includes 278 cultivated acres (as per SAMA) and is comprised of a productive Kindersley Association clay texture soil. Access to the land is excellent, with Hopedale Road bordering the south and a grid road along the west. 2 oilfield surface leases on the land provide $5,550 annual revenue.